Playbook details how broadcast intelligence can make the difference in today's continuous news environment. 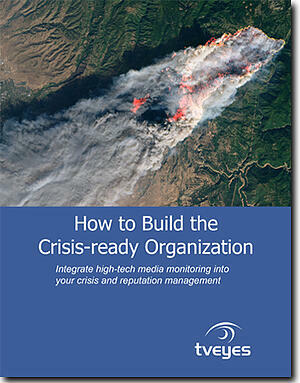 Crisis impacts corporations, governments, schools and nonprofits nearly every day of the year. Most of these events make it onto local and regional TV and radio and many become national news as well. For many organizations it's not if, but when you'll be thrust into the news due to unforeseen circumstances. The question is, how will you prepare?